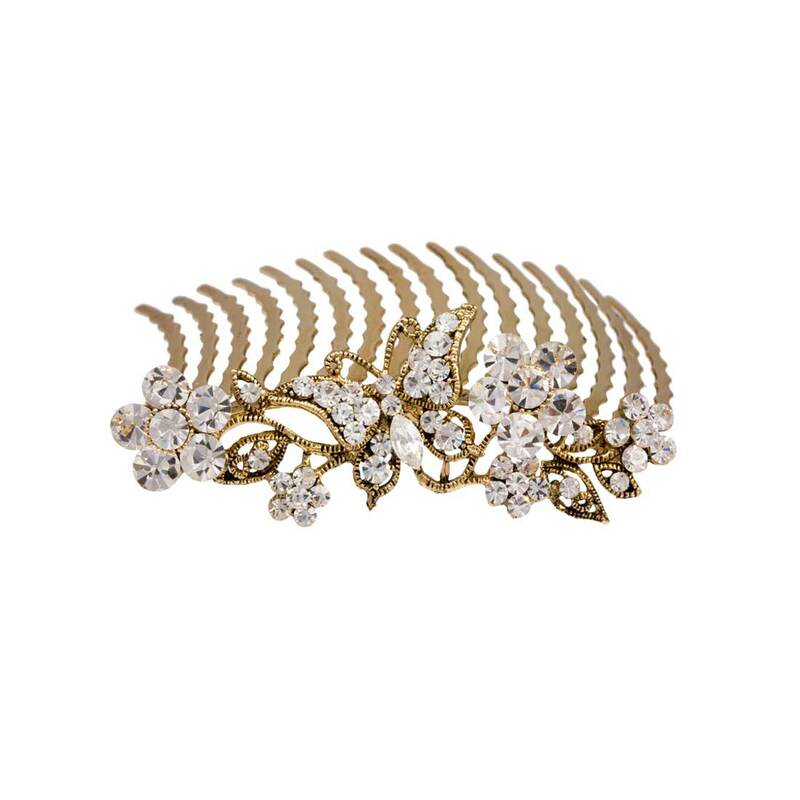 Adorned with a delicate butterfly, this gold hair comb will adorn your hairstyle with vintage charm. Simply captivating and very pretty, this antique gold tone hair comb features a crystal adorned butterfly enhanced by clear Austrian crystal flowers. Its versatile size ensures this beautiful comb can be worn to adorn a French pleat, at the side of the head or as a tiara. 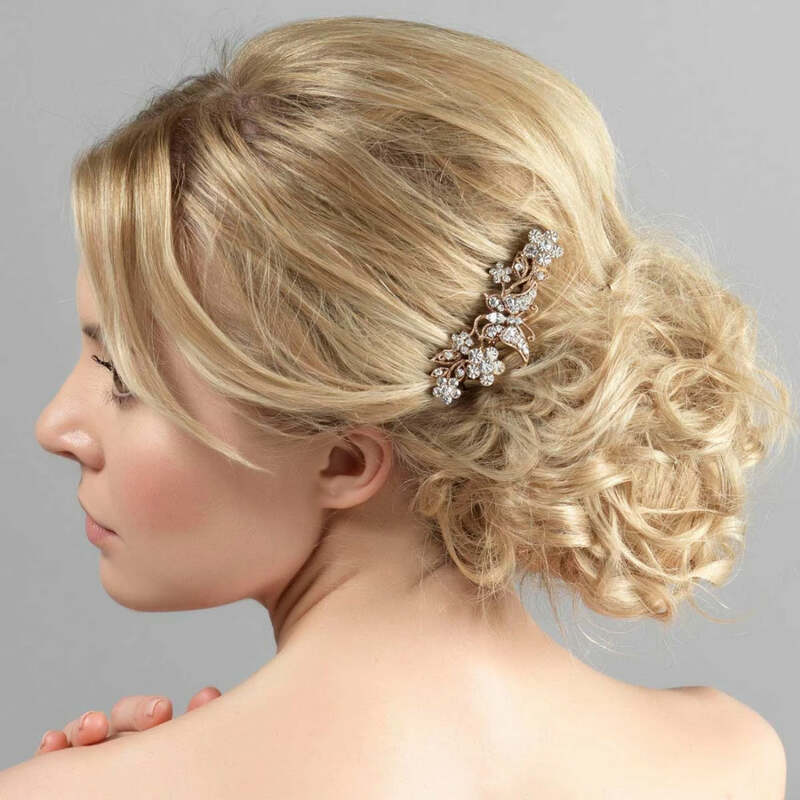 For brides and bridesmaids who adore romantic style, this is the perfect wedding hair accessory. Just adorable worn tiara style on younger bridesmaids too!